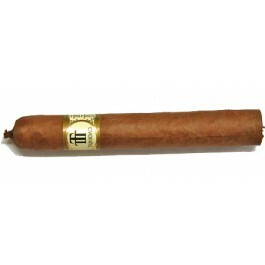 The cigar is very well constructed, firm and packed. A smooth wrapper with very small veins with a musty aroma. The foot smells of currants and will leave saltiness on your lips. One of my go to short smokes. For a such short smoke packs a lot of flavor . The quality of packing and construction is very high. Had smoked several boxes and never had any problem. Easy to smoke, takes approximately 45 min. Very nice delicate special flavor. Maturation makes them better but not dramatically. A perfect cigar! These are good, with a nice construction, but they could definitely mature a little bit to bring out the flavor. I'm going to let them rest for a few years. The box i received is young but they're already smoking great. Dark and well rolled with an awesome Trinidad pigtail cap. Salty, floral, vegetal smoke. 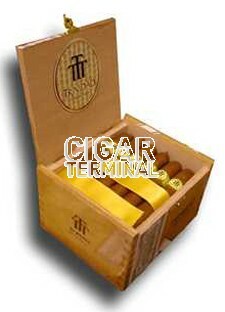 A must have for any humidor, and the box is so small it can fit in a desktop humidor. My favorite Trinidad! Lots of punch and pep, but still very elegant. A journey of a cigar and if it's not rolled too loose or tight, it's the best minuto/perla format.